We have three Christmas trees. In a world of consumerism and wanting more and more, this might seem a little crazy, but in this case there really is a little bit more to it. I met my husband my sophomore year of college. We quickly began dating, fell in love and were married less than a year later. Those first few years of marriage were fun and busy yet so simple. We were both going to school full time and working part time. Eric had a great job installing composite, okay the so the job was actually literally crappy, but it paid $15 a hour. Between my part-time job, his job and partial and full scholarships we felt like we were doing pretty good for ourselves. We drove two old junky cars, my husband's was a $500 dollar special, one in which the engine literally dropped out, which we wired back up with a coat hanger. I remember saving up all our rewards points on the one credit card we had, so we could have a fancy meal at Red Lobster on Valentines day. But we were happy. 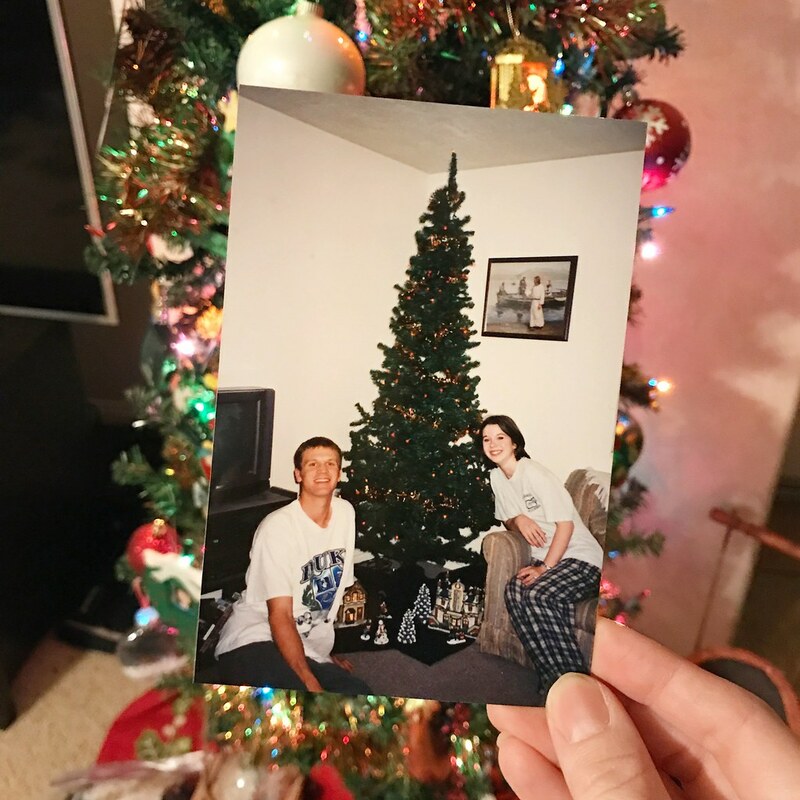 Our first few Christmas as newlyweds, were spent at our parents houses and even though we weren't usually home Christmas morning, I really wanted a Christmas tree. Growing up, we would always go and chop down a live tree, always ending up with one way too fat as they seem so much smaller out in the woods surrounded by other trees. 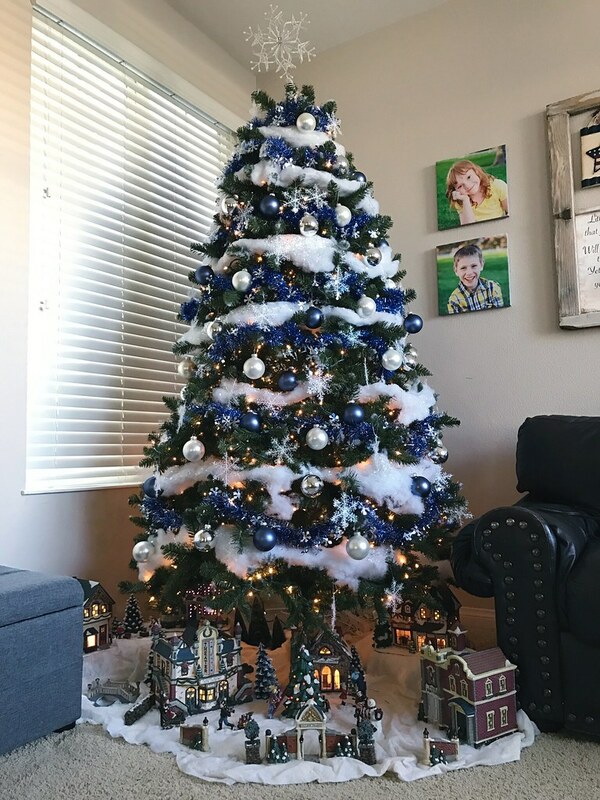 I didn't have to have a live one, in fact I wanted a fake one so we could leave it up all month long; but even with how "rich" we felt, money for a tree was just not in the budget. One year, around my birthday, Eric took me to Michaels and told me to pick out a tree. I was ecstatic! The trees were on sale and I picked out a beautiful tree, definitely not the biggest of fattest one there, but one we could just barely afford at about $60. I loved that tree! My mom gave me some ornaments that I had made growing up and my Mother-in-law for part of my birthday present bought me a tub of red and green ornaments. It was perfect. I loved that tree for years.. but then some of the branches began breaking and falling off, leaving a few bald spots, and we had a little more money now. I saved up my money and ordered a tree on-line, something new that we could not have done when we were first married, and bought a tree. When it arrived it was just as tall as I thought, but it didn't seem nearly as fat and wide as the picture on-line. Eric suggested we decorate both trees. 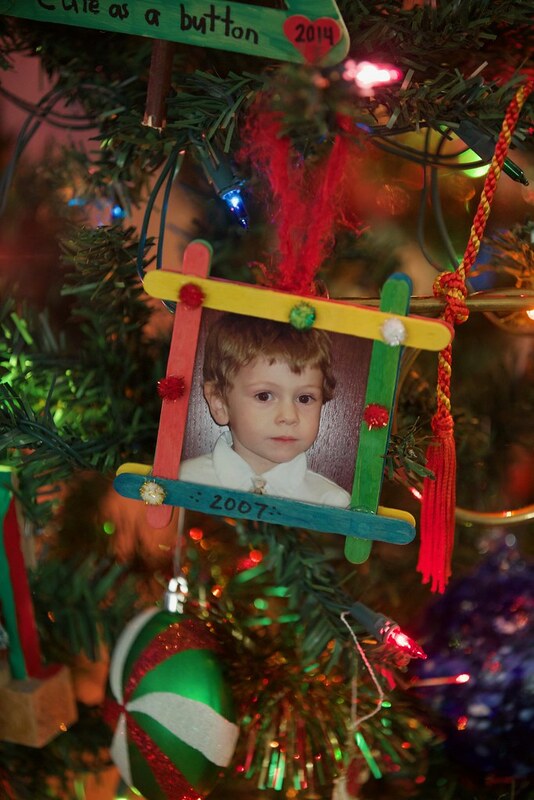 One tree we filled with home-made ornaments, some of which our kids were now contributing to with the things they made at church and school and the other had some of those original ornaments my mother-in-law had bought for me. I loved my trees, but I still really wanted a big fat tree, kind of like the ones I had grown up with. This time I went to the store and made sure to see the tree with my own eyes before purchasing and got my tree. I assumed we would get rid of one of the trees, the obvious choice was our first tree as it was the most worn-out, but we just couldn't do it... there was too many memories, to much sentiment and so we kept all three. 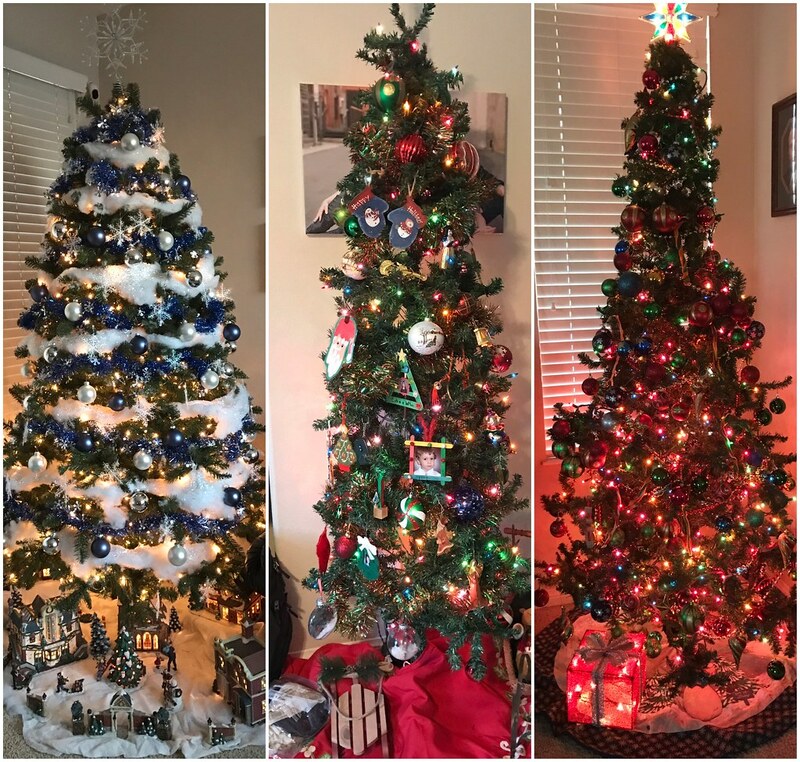 Now I have my winter tree, or BYU tree, our first original tree that we adorn with our homemade and mismatched ornaments and our tree with the ornaments (and some additional we have bought over the years) my mother-in-law gave me. Now every year, when we decorate for Christmas we pull out bin after bin with our three tress and ornaments and we pull out years of memories and love. I think that it is sweet that you have kept the other two trees! They have sentimental value ♥ Plus, there is no such thing as too many Christmas trees.